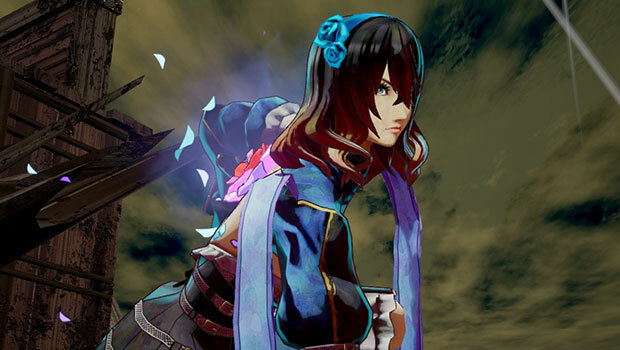 The Kickstarter demo for Bloodstained: Ritual of the Night couldn’t have come at a better time. The crowdfunding model has been brought into doubt this week with the critical panning of Mighty No. 9, another Kickstarter darling that promised a spiritual successor to Mega Man but, by almost all accounts, fell far short – not to mention the numerous delays and issues backers have had in actually obtaining their copies of the game. In light of this, it’s been easy to become worried about Bloodstained. Like Mighty No. 9, it’s a game from a famed developer looking to break away from the big publisher constraints by way of crowdfunding, with nostalgia for a long-dormant series driving the campaign. “You want a new Castlevania, I want to make a new Castlevania, but Konami wouldn’t let me – so I left, and now I’m giving you Castlevania in all but name.” I have faith in Koji Igarashi to do good on his promise and deliver, but so many had the same kind of faith in Keiji Inafune and Mighty No. 9, so it’s fair to say I’ve been at least mildly concerned. And then along came the promised E3 demo for backers, and any doubt I had was put to rest. Unless the finished game is drastically different from this demo, Bloodstained: Ritual of the Night will undoubtedly be the spiritual successor to Castlevania: Symphony of the Night that we’ve been waiting on for almost 10 years. The demo takes place on a large ship called Minerva, and the Castlevania spirit is apparent as soon as you load it up. It’s a dark, gothic setting, but manages to present that as vibrant and inviting, rather than bleak and overbearing. Purple oil lamps hang from the ceilings (and, sure enough, you can break them for cash or this game’s equivalent of hearts), and there’s a distinct lived-in feeling among the backgrounds of the ships various rooms. In lieu of 2D sprites typically used by Igarashi’s past games, Bloodstained uses 3D models, but with a shader that gives it a comic-book appearance. It’s beautiful, and a perfect fit for the tone and art style of the game. When it comes to actually playing the game, it’s instantly familiar: explore the map, kill enemies along the way, look for hidden areas, and so on. Like the early stages of most Igarashi Castlevania games, the map is mostly linear as it takes you on a journey across the ship, but you can already see the seeds of the intricate level design that is one of the defining factors of games like Castlevania: Symphony of the Night and Metroid. Lots of short branches off the main path lead to treasure, and not far into the demo, you get your first special ability: a fireball spell that can light the wicks on cannons, opening previously blocked paths. As you go on, you’ll see those all-important “return here later” signposts, like platforms that are far to high to jump to, but could be reached with a double jump. Incomplete sections of the map taunt you with prospect of more discoveries should you return with more abilities under your belt. Most important, Bloodstained *feels* like a Castlevania game. Movement is fluid and controls are responsive in a seemingly identical way, to the point that it feels like you could just as well be controlling Symphony’s Alucard or Order of Ecclesia’s Shanoa. I found myself approaching every aspect of the game, from exploration to combat, in exactly the same way as I would an Igarashi-developed Castlevania game, and getting just as much satisfaction out of it in the process. It’s a short demo that culminates in a suitably grandiose fight with an outlandish boss: some sort of giant harpy / Kraken hybrid, with a toothy face protruding from her stomach. It’s exactly the kind of weird and wonderful design that would look out of place in almost any game, but would fit in perfectly in Castlevania. In terms of the actual fight itself, it was a bit on the simple side; not quite up to the same mechanically creative standard as many Castlevania bosses. That said, it’s a first boss, and even in its straightfoward attack patterns, you can see the seeds of more elaborate encounter design. So, Bloodstained is in good hands. Time will tell if it’s delivered on schedule in early 2017, or if it will go through the cycle of delays that Mighty No. 9 and plenty of other Kickstarter darlings have, but one thing that this demo has made absolutely, abundantly clear is that Bloodstained is, without a doubt, the Castlevania game that Igarashi’s fans have been waiting for. It just bears a different name.